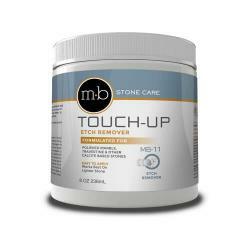 Removes coffee, tea, wine, grease, oil, and other organic stains in granite, marble, travertine, limestone, all natural stone, terrazzo, brick, concrete, and grout. 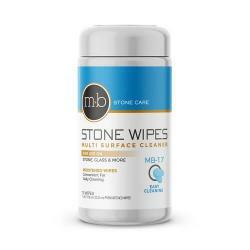 Towelettes pre-moistened with the Stone Care Cleaner formula. 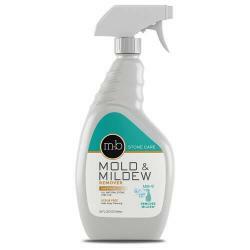 Quickly wipe away spills, fingerprints, dust & debris. Super for stainless steel & mirrors. 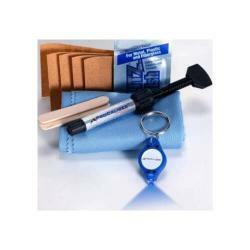 Excellent Value Kit for extra savings! Get up to 9 quarts for routine use cleaning marble, granite, & quartz countertops, natural stone, backsplashes, and mirrors. Superior marble & granite sealer providing a long-lasting protective barrier for excellent resistance to water & oil-based stains on all natural stone. 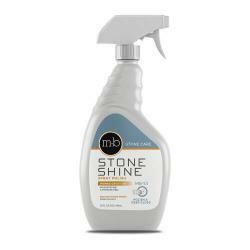 EPA certified "Green" granite & mable cleaning spray. 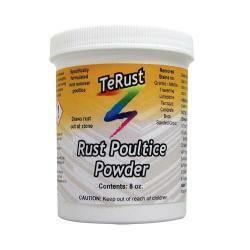 Also excellent for quartz countertops, travertine, limestone, slate, Corian, porcelain & ceramic tile. 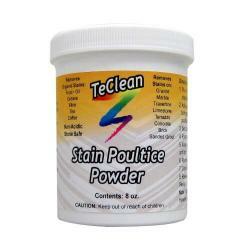 Excellent, effective and easy-to-apply product to provide a darker color and a "wet look" surface sheen on all honed natural stone countertops and floor tile. NEW! 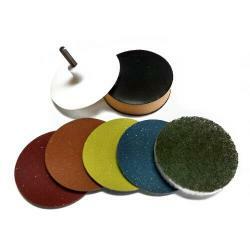 Remove dull spots, glass rings, etch marks, and light scratches from honed or polished marble, travertine, and limestone with these easy-to-use DIY marble polishing pads. Click "Details" for pad size and pricing. NEW! 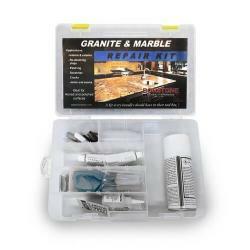 Polish granite & quartz countertops like a pro with this DIY kit. 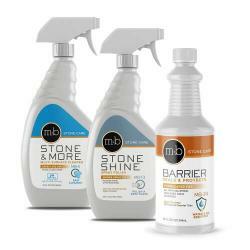 New breakthrough proprietary polishing cream makes it easy for anyone to restore or improve the shine and finish. 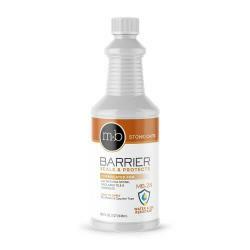 Effectively removes most rust stains in granite, marble, travertine, limestone, all natural stone, terrazzo, brick, concrete and grout. 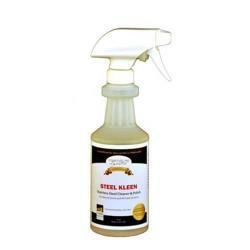 SCP: STEEL KLEEN Stainless Steel Cleaner - 16 oz. 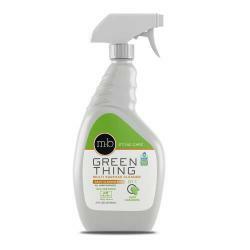 Non-abrasive, non-toxic food safe cleaner for stainless steel appliances, countertops, backsplash, kitchen sink, bar sink or bbq grill. 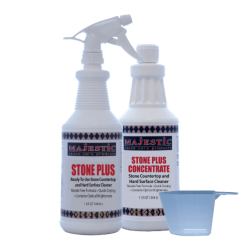 Fills chips, pits & nicks for nearly invisible repair of granite, marble, quartz countertops, travertine, limestone, slate, Silestone, Corian, tub & shower tile. For walls & edges. Up to 25 small repairs. 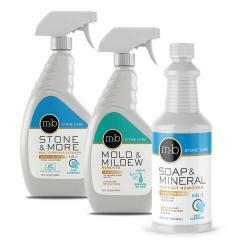 Quickly fills pits, chips, gouges and deep scratches for virtually invisible repair on granite, marble, quartz, Corian, porcelain, floor tile, tub & shower tile. 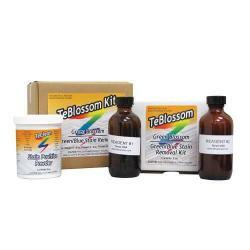 Glue stain removal kit for blue / green stains from adhesives and activators used during installation of marble & granite countertops. Repair cracks, fill joints, seams, scratches, large gouges, pits or holes, or re-attach chips on granite, marble, quartz, travertine, and porcelain. 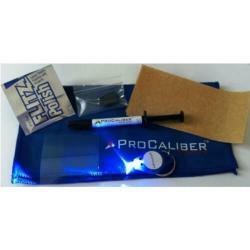 Best choice when a specific color-match is needed (vs. a clear gel. See description for more details). Protecting and cleaning granite countertops, cleaning marble, travertine and all natural stone is a breeze when using products engineered for optimum performance on these surfaces versus a common household cleaner that can damage stone or degrade marble and granite sealers. We highly recommend the cutting-edge Stone Care line as the best you can buy for granite & marble maintenance products... Made by Stone Pros! 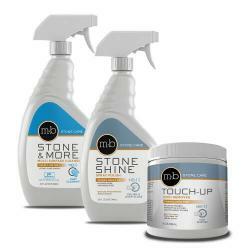 Use with confidence for all your marble & travertine maintenance and granite countertop care. 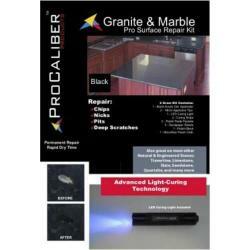 For the best Quartz Countertop cleaners, please see the "Quartz Countertop" category.